Adobe Illustrator Ai and EPS files. 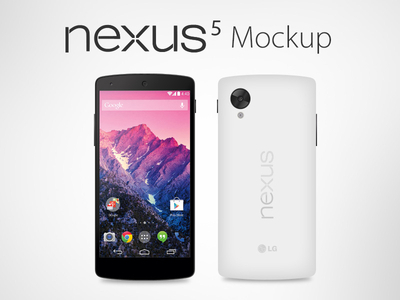 Vector Google Nexus 5 Mockup is a free Mockup design resource made by Dribbble user Zee Que. As far as I can tell, its license is Creative Commons Attribution-NoDerivs.